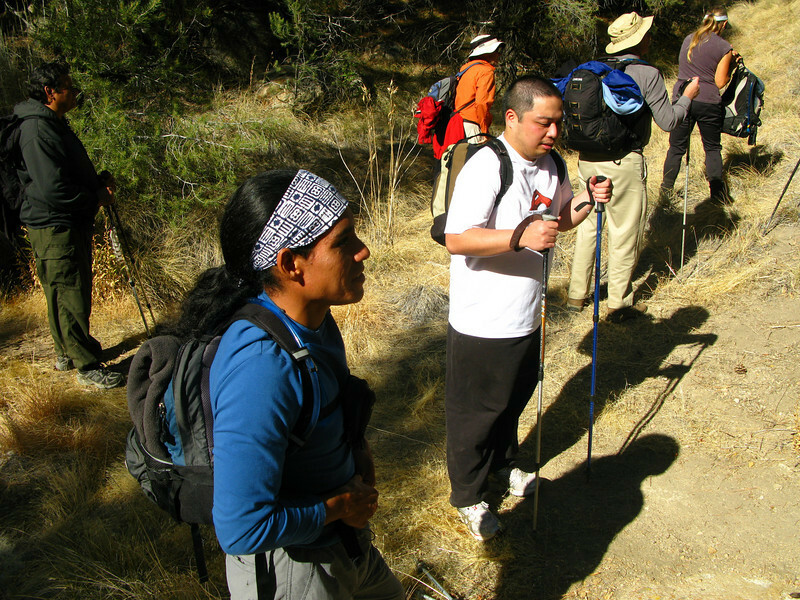 Saturday, November 11 - the hike to Sawtooth Pk was scheduled as a club hike for the KRVHC. Glenn got a flat tire on the way to the trail head so we did not start until nearly 10am. Early morning cloud cover burned off nicely and it turned out to be a very nice day. 10 of us made it to the summit, although spread out we were nearly an hour beyond what we chose for turnaround time. We made it back to the PCT before the lights faded and used the last of the remaining light to hike out without the need for headlights. For some of the group this was their first off-trail hike and the first time doing any class III.